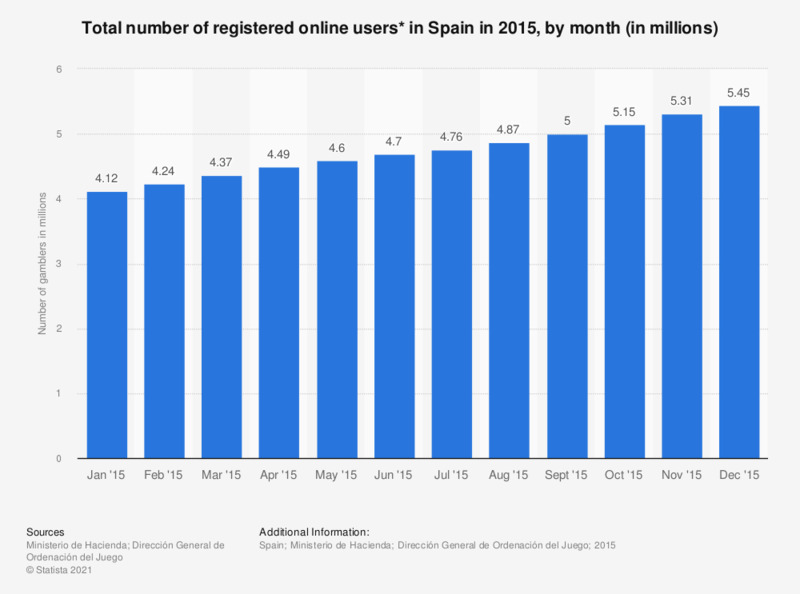 This statistic illustrates the total monthly number of registered users on online gambling platforms in Spain in 2015. In December of that year, more than 5.4 million online users were registered on these types of gambling platforms. * Figures on unique users come from their registration data on various online platforms, as noted by source.